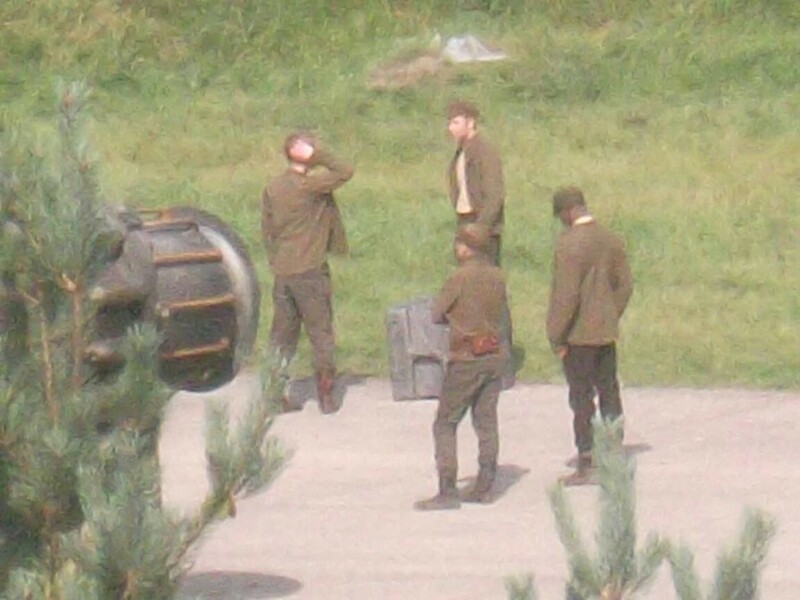 First Look at Gwendoline Christie from Star Wars: Episode VII? 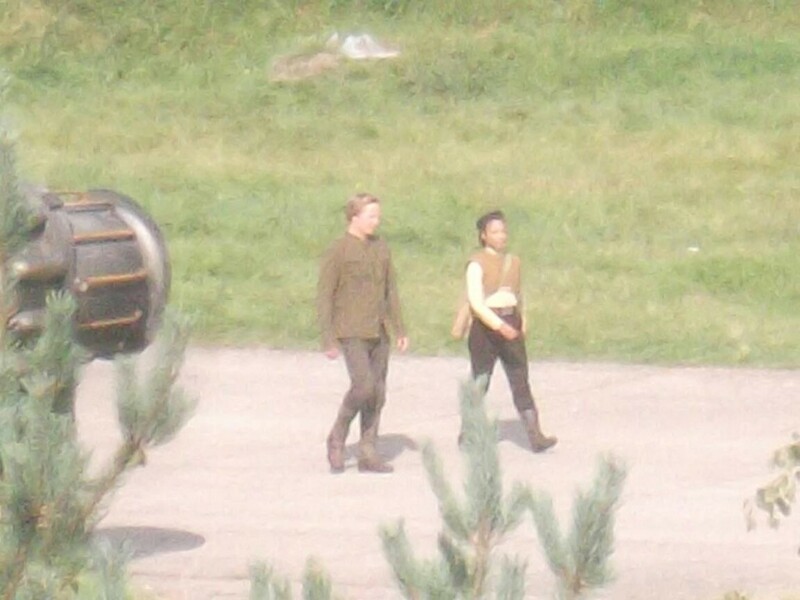 Comic Book Movie posted the following photos claiming it is Gwendoline Christie on set at Greenham Common shooting location. Earlier we reported about Adam Driver on set as well. The following photo is just an additional photo of extras in costume. Personally, my first instinct is to say that this isn’t Christie, but then again not very many women have her size and stature. So I will leave it to you to figure out if it is her or not. If that’s her it doesn’t add up at all to what we have heard for her character so far. Maybe she has a change of heart who knows? Jason Edit: I find it interesting that she is basically wearing the same outfit as the men in the sequence but doesn’t have to wear the nerdy little hat. To me that says this person is a featured face and therefore more likely to be Christie. Unless the men in the sequence are very short, she appears to be as tall as them. Christie stands about 6’3.